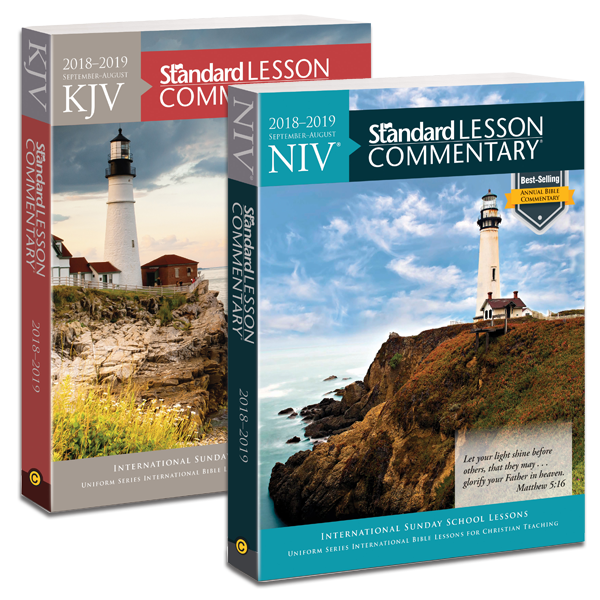 Get the most out of your adult Sunday school and Bible study with the Standard Lesson Commentary®—trusted for over 60 years. Designed for all types of Bible study, the best-selling annual commentary provides 52 weeks of study in a single volume and combines thorough Bible study with relevant examples and questions. * Each Deluxe edition includes a unique printed code to unlock the eCommentary after download to your computer from Logos.com. For help in installing or unlocking the Deluxe Edition to your computer, see the first entry in our Frequently Asked Questions. We provide true-to-the-Bible resources that inspire, educate, and motivate people to a growing relationship with Jesus Christ. For more than 145 years, Standard Publishing has been serving the Christian community with products that have but one purpose: bringing the Bible to life!